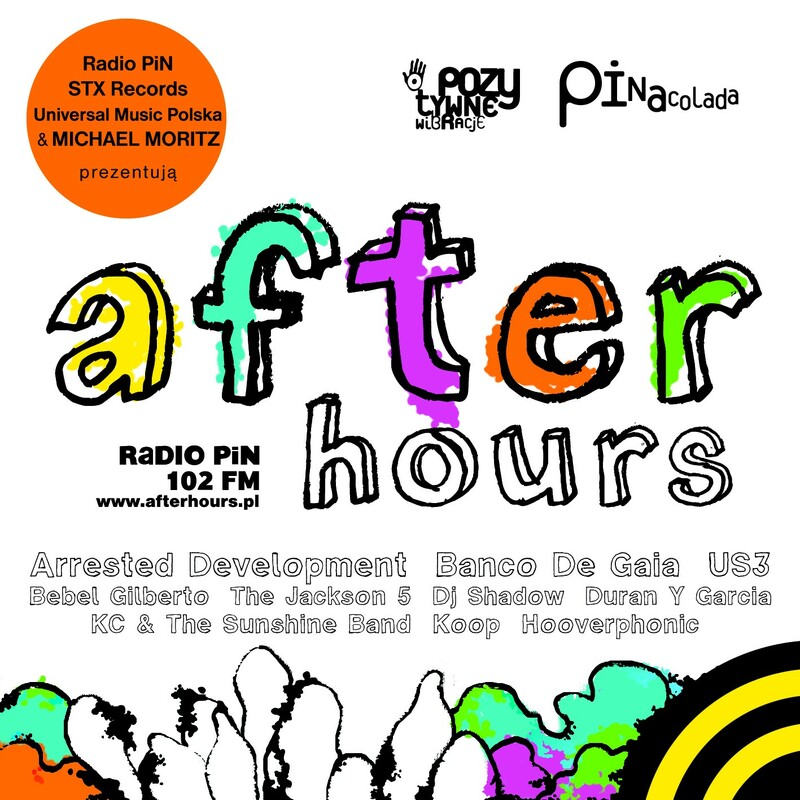 Radio PiN, STX Records and Universal Music Poland present an audio compilations After Hours (2CD). After the unusually popular CV series Pinacolada, this time “after hours” we present the music known from the programme by Michael Moritz – After Hours and other pieces perfect to listen after hours. The mix of the best, carefully selected, energetic rhythms Fun and gentle, soothing sounds of the well know Radio PiN show. On the double CD album there are among others: Hooverphonic, Bebel Gilberto, Koop, US3, Mystic Diversion, Arrested Development, KC & The Sunshine Band, Jose Gonzalez, Nighthawks. The repertoire for the album apart from the author of the programme was selected by those who created the Pinacolada series: Emil Marat, Marcin Sobesto and Stanisław Trzciński.